Your #1 Life Power – is your Ability and Willingness to focus your Energy. Remember the first time you really focused your energy? Well, technically only ½ of “you” did it. 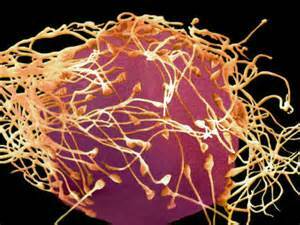 Out of about 200,000,000 sperm released, only one made its way into the egg. That my friend was YOU! You had such Momentum. WoW!- You were amazing. (And you say you can’t swim!) The challenges that some of you made it thru, over and around is AMAZING! A lot of you surprised quite a few people with your alignment, focus and endurance! You REALLY wanted to be here. Just to show up for The Big Show. To be HERE- NOW. You wanted to BE YOU. TO EXIST. You can almost still hear the other slower sperm listening to each other saying “Hey, there’s millions of us… what makes YOU so special… you’ll never make it… it’s too hard” (ouch, pardon the pun). BUT YOU DID MAKE IT. You ARE unique! Don’t undersell this Energy under the name of “Biology”. About 2,700 years ago Buddha said “With our thoughts we make our world.” Henry Ford phrased it, more recently, like this “whether you think you can or think you can’t, you’re probably right!” From the very beginning of time, and the very beginning of your life, Energy and Willingness to Focus have always preceded action and physical manifestation. I had the wonderful pleasure of watching a flock of birds last night. Most of you have enjoyed a similar sight, especially at dusk. It was the most peaceful and soothing moment in my day. 🙂 Enlarge it on your screen and flow and fly just for 2 minutes out of your day. Such grace and beauty in the way they flew together, endless shifting directions, making corners and changing directions instantly AS ONE UNIFIED BEING. Why? How? No calls, no squawking, no injuries – just peaceful movement. Some folks I know can’t turn a corner or change a lane without using blinkers, horns, or fingers in some cases, without confusion and accidents and anger. Yet, watch these guys fly. Especially watch at 1:42 minutes, where the birds divide and regroup in a beautiful explosion of movement, and keep flying. Not one bird with ruffled feathers drops out. Rupert Sheldrake spoke of Morphic Resonance, and there’s been hundreds of names and theories, but instead of thinking – just enjoy it and feel the beauty of it. Now, its our turn. Be in tune. Listen to the energies around YOU. Merge with the Greater energy. Enjoy the dances of our life.